In Bound - Out Bound: Do you know how many websites link back to you? Link Building, when it is done right, is like having people recommend your business. The more popular the website recommending you is, the more page authority it give you, and the higher your web page moves up in the search engines. 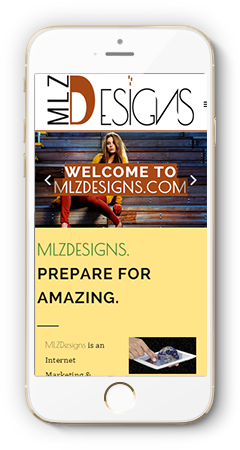 We at MLZDesigns, help to build the relationships that help get you recognized and recommended around the Internet. Remember: it's not enough for other websites to link to you. They must be reliable and credible in order for the link to be meaningful. The Art of Popularity Through Relevancy. Link Building: is like the online version of word-of-mouth. In fact, the two go very much hand in hand. When people like your products or services they like to share that information with others. Not in the social media aspect of online marketing but in recommending your business as a reliable business. Link building can take several forms: a business which is complimentary to yours (but not competitive), adding a link to thier website recommending yours, bloggers writing about products or services and adding a link back to your site as a valuable resource, press releases, news articles that talk about your business, even product or service reviews on websites such as Yelp. Link Building is all about getting other websites to link back to yours. When this is done, search engines see that you are a business that is established, recommended and popular. Because of that, they rank your website higher in their search engine results because your website is more relevant to a searcher and will also offer their customers a better customer experience. Our link building techniques help your website to become more relevant to more people, so that new customers can find you through more avenues.